This fall, Celebrity will introduce their new ship, the Celebrity Edge, a revolutionary new ship that was designed to shatter your expectations of cruising. From the versatile Magic Carpet, to Infinite Verandas in certain staterooms, to a magical gathering space called Eden, experience something new and innovative around every corner. 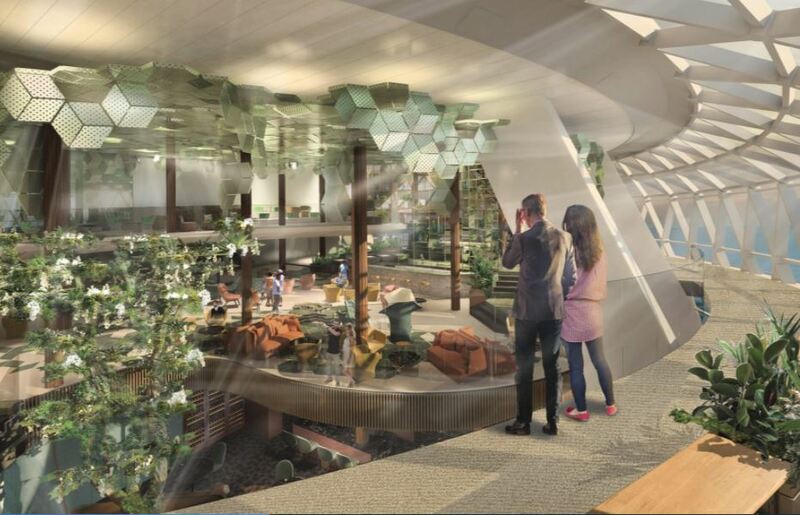 Celebrity Edge will make her debut with several 3-night preview cruises in November 2018, and if you want to be among the first passengers on this beautiful ship, there are still a very few cabins available! But we have selected a 7-day sailing in January to introduce you to her, please see itinerary and pricing below. See complete quote for two passengers at right. Prices are per person, based on double occupancy. Fares are current as of 20Feb18. Ensemble guest amenities include a $75 onboard credit per stateroom. 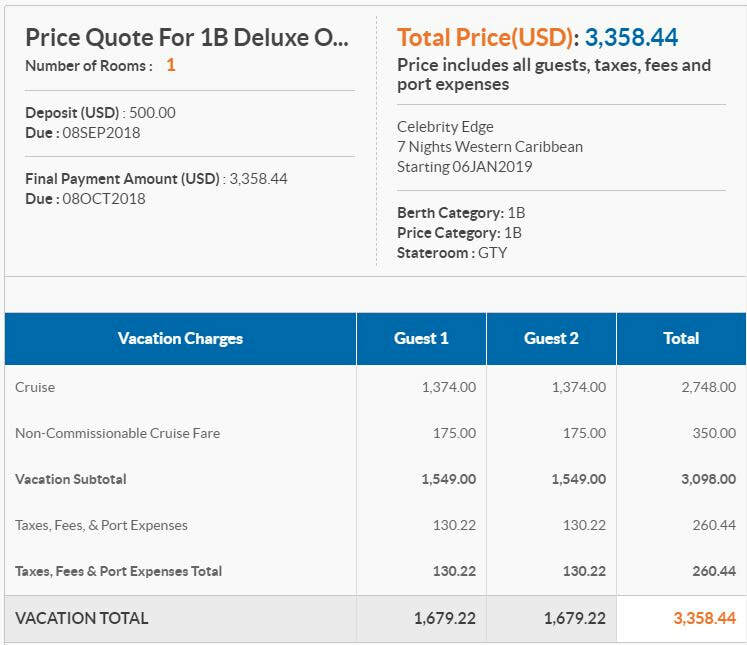 Taxes, fees and port charges $260.44 per person, subject to change.